GoogleandBMW/Baidumay be making the headlines by bringing driverless/assisted-driving cars to the roads of California and China, but the real action, as ever, is in Milton Keynes. The dawn of autonomous vehicles looms over the UK, as a code of practice for their use is officially drawn up. That means we're going to see driverless cars being tested on British streets for the very first time in 2017. Including in Milton Keynes, Techno City. The UK government has developed the world's first driverless car code of practice, outlining the protocols that need to be in place for tests to take place on the nation's roads. The code of practice has been finalized with input from a variety of stakeholders, including UK AutoDrive and the GATEway consortia. It has also been confirmed which four UK cities tests will take place in: Bristol, Coventry, Milton Keynes and Greenwich in south-east London. "We're coordinating the trials technically and working with government to ensure that the legislation keeps pace with what the technologies need to do in order to facilitate this brave new world," said Tim Armitage, project leader at the Autodrive Consortium. 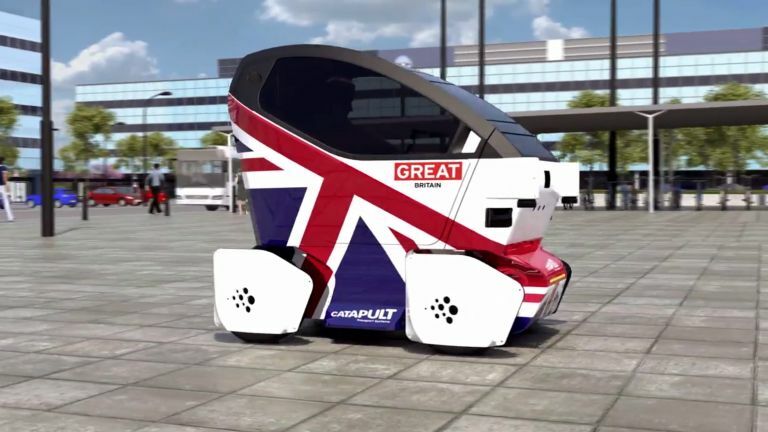 "One of the things we will be doing is undertaking some acceptance surveys globally and in the UK to gauge public opinion around driverless technologies, and we'll monitor how that changes over the three years of our project." The code isn't just the green light for driverless vehicles, but also clears testing for autonomous transportation pods – such as the Lutz Pathfinder – which is designed to travel on pavements. By law, the pods must have someone who can remotely control them (but doesn't need to be inside them) to bring them to a half in the event of a problem. Meanwhile the driverless vehicles must have a manual driver who can take over if the autonomous system fails. The UK is playing catch-up with the US, where many car makers are already set to trial their autonomous vehicles. Amongst these is Google, which hits the roads this summer.